AV rated trial attorney with extensive federal and state jury trial experience. Super Lawyer rated; ABOTA member. Ms. Corporon's practice focuses on criminal defense, domestic, family and juvenile law, and general jury trial. Prior to joining Christensen & Jensen, Ms. Corporon was a shareholder with VanCott, Bagley, Cornwall and McCarthy for four years. 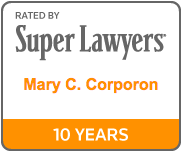 Ms. Corporon was co-founder and partner in the law firm of Corporon & Williams, P.C. until 2011. 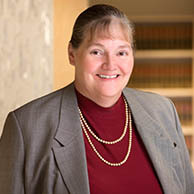 She was an adjunct professor of trial advocacy from 1987 through 2013 at the University Of Utah College Of Law. She has presented numerous CLE seminars and conferences. Ms. Corporon was elected to the American Board of Trial Advocates in 2009, in which members must display civility and integrity, and have completed at least 20 trials to jury verdict. Ms. Corporon is listed in the Best Lawyers in America® publication in the areas of Family Law and Family Law Mediation, and is listed by Utah Business Magazine as a Utah Legal Elite for criminal defense and family law. She has been recognized by Mountain States Super Lawyers in white collar, DUI/DWI and general criminal defense. 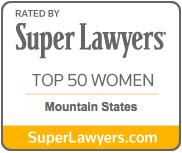 She has also been recognized by Mountain States Super Lawyers as one of the Top 50 Women Attorneys. She is considered one of the Top 100 Trial Lawyers in Utah by The National Trial Lawyers. Mary has also been named by Utah Business Magazine as one of "Utah's Legal Elite" for 2017. Ms. Corporon is “death qualified” to accept appointment to death penalty defense, under Utah Rules of Criminal Procedure Rule 8, and Federal Rules of Criminal Procedure.